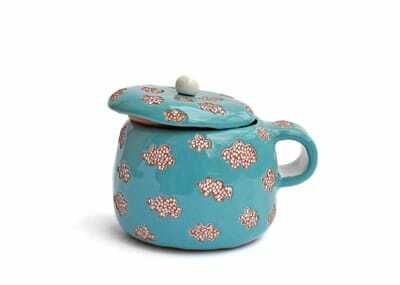 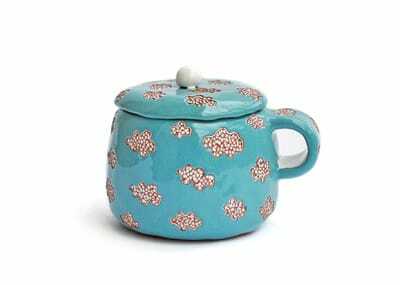 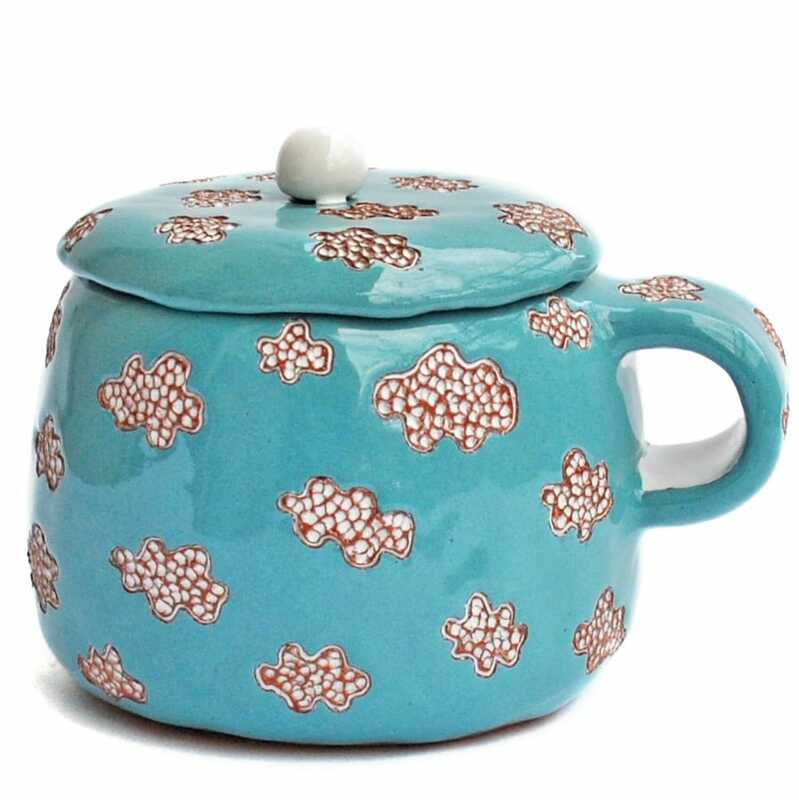 Adorable sky blue cup with a lid covered in dotted cloud impressions. 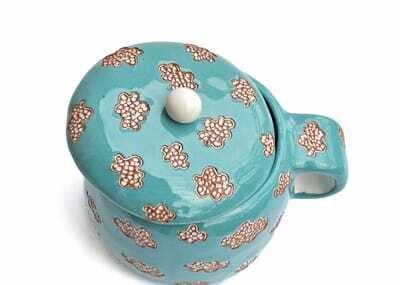 Perfect size, shape and mood for a morning cup of coffee for the dreamer in you, to keep your head stuck in the clouds in the early hours. 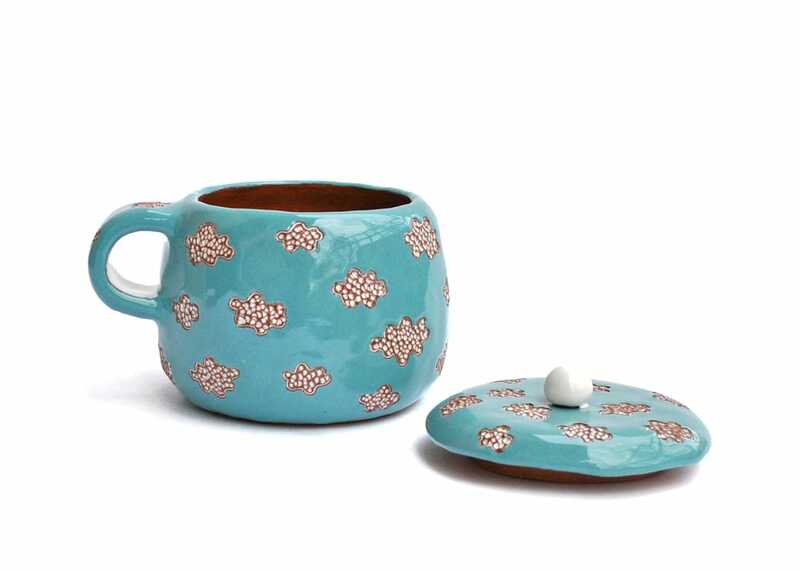 The cup is approximately 9 cm (3.5 inches) tall.